In this categpory you will find anything you need for a nursery. Keyclubco offers lovly teddys for kids from the famous brand Steiff. You will also find appliance such as food makers, bottle warmers, steam sterilisers and baby monitors. Steiff makes cute teddys, bears, rabbits, comforters and much, much more. 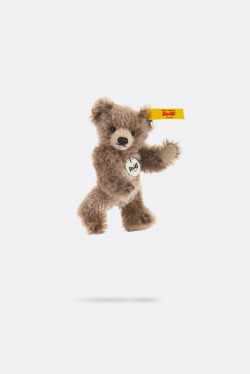 Let your child get a sweet companion in the first years from Steiff at Keyclubco. The teddys are in soft fluffy cotton and has bean bags to enhance the playtime. At Keyclubco.com we offer electronics for kids from Philips. Here you will find steam sterilizers, food makers and of course baby monitors. A baby monitor is important to keep an eye on your child while they are asleep. Neonate and Motorola makes babymonitors with a camera you can control from your smartphone, to make sure your kid is always sleeping well. Furthermore, the baby monitors capture the room temperature.